When there are two vectors acting upon an object then they will create an overall vector. 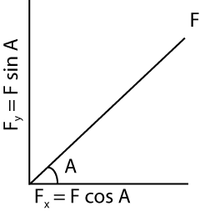 Using Pythagoras or Trigonometry you can then find out the overall vector. 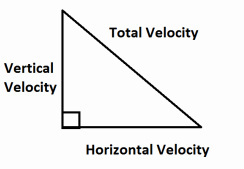 When there are two vectors the overall vector can be calculated by a vector triangle. This is done by actually drawing to scale the vectors involved. This enables you to work them out. To solve one of the vectors you need two of the other vectors in th vector triangle. Aristotle believed that the rate of fall was proportional to an objects mass. This meant that they accelerated at different rates. As gravity is acceleration caused by an objects gravitational energy. An experiment to find it can be set up to discover what the magnitude of gravity is. 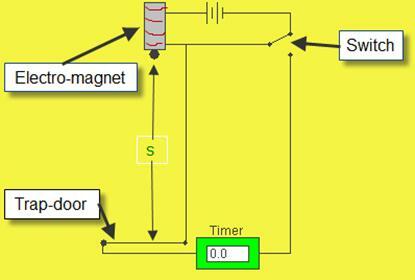 A trap door and electromagnet method can be used. This does have problems and in the exam they might ask you why.